THE ULTIMATE GAME 'RELEASE' JAM. 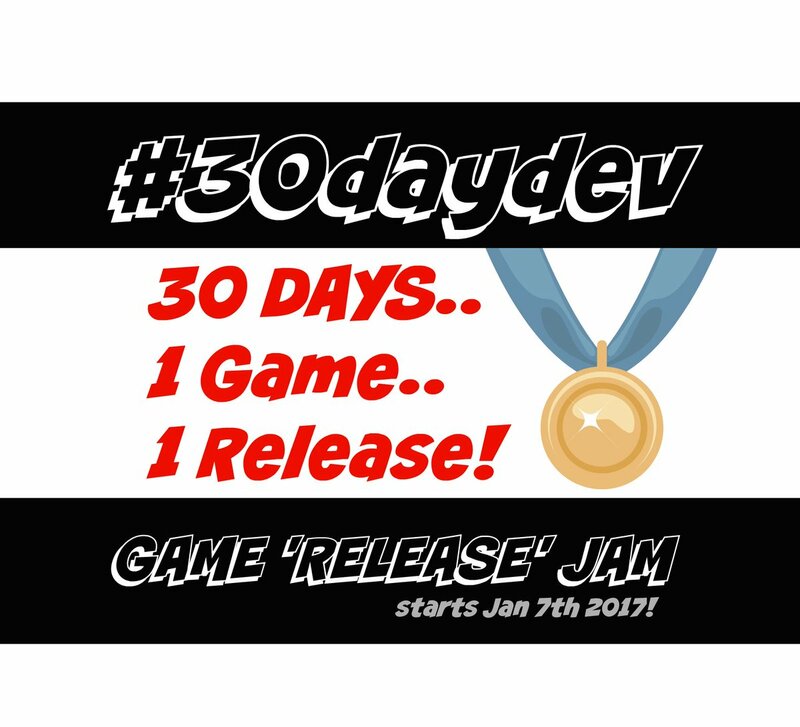 Can you design, develop and release a game in just #30daydev? 30 days. To make something awesome and release it! Level up your game dev! STARTS JANUARY 7TH 2017! - LET'S HIT 2017 RUNNING! A submission for the #30daydev game jam.